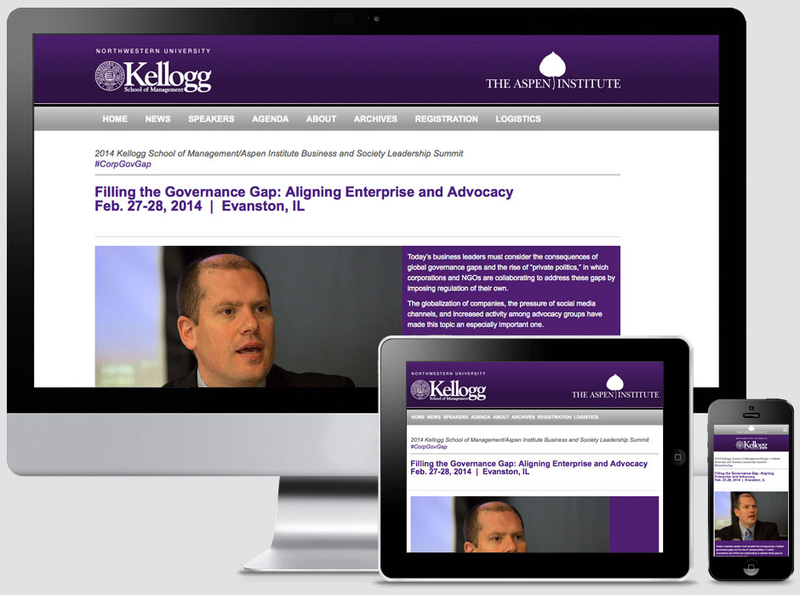 The Kellogg Marketing and Communications team needed a new site to promote 2014 Kellogg/Aspen Leadership Summit — an academic conference that brought leaders from business and academia to the school’s campus in Evanston, Illinois. 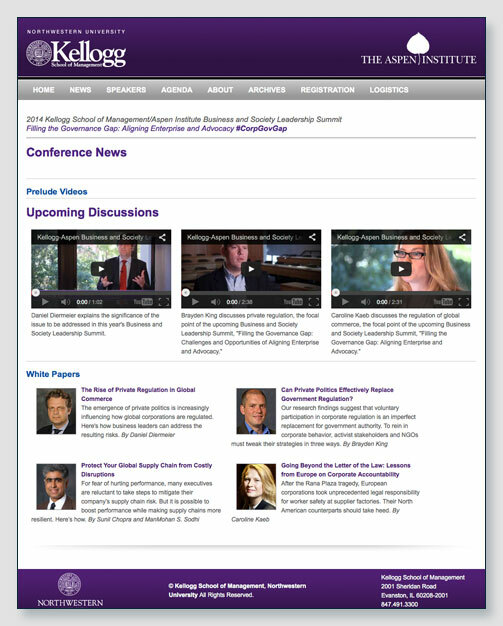 I took the initiative to rebuild the site with a responsive design. 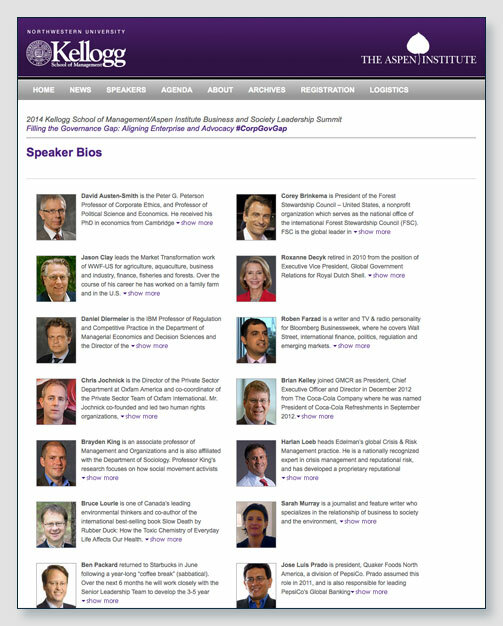 View the live site here.